Eggplant, Ink and Acorn colors are FINAL SALE and not eligible for return. With a hip-slimming bootcut that visually lengthens legs, these hi-tech Ice Fil tights cool riders from the bottom up while offering more coverage than the Flow Rise Performance Tights and silicone Kerrits Sticks along the inner leg and seat for stretchy, breathable security. Available in Regular and tall height. Tall is 3" longer. 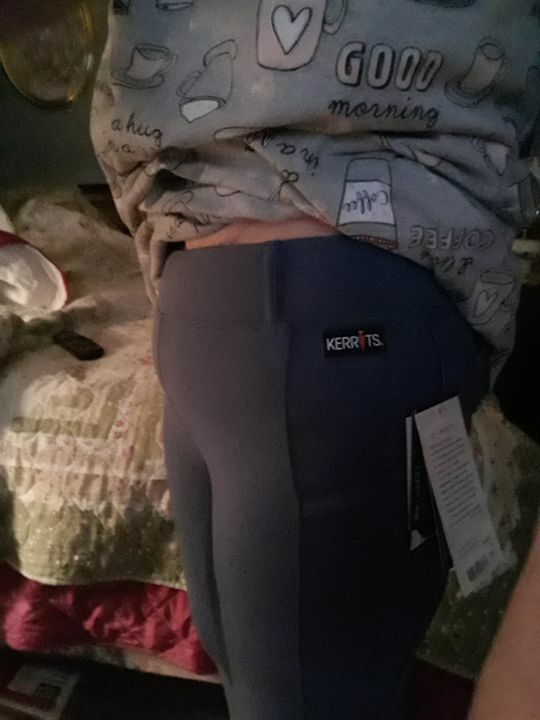 Another KERRITS ultimate comfort and thoughtful design! The wide waistband also allows for movement, breathability and flattering fit. The Navy matches everything, and the Eggplant is my new favorite KERRITS palette of colors!!! Thanks KERRITS. What more can we say, but THANK YOU ! Navy has been a wonderful addition this year. Hello Christine - glad to hear the Ice Fil bootcut is meeting and exceeding expectations. Fantastic Terri - glad you are so happy ! Thanks for your comments Jane - we all feel this way and are glad you do too !